Join us January 26 for a presentation on Richard Chenoweth’s Historic Beersheba Springs. The Atlanta Preservation Center welcomes photographer David Knox, a participating artist with the Atlanta Celebrates Photography festival, for an artist talk and exhibition of his new work, Ritual and Ruin: Tableaux of a Lost War. 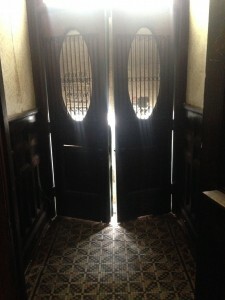 This exhibit is juxtaposed with the Atlanta Preservation Center’s and the Atlanta History Center’s permanent exhibit at the L. P. Grant Mansion: Preserved on Glass. Join us at the L. P. Grant Mansion on Thursday, October 5 from 6:00 p.m. – 8:00 p.m. The artist will lead a discussion of his work at 6:15 p.m., with an open house to follow. Refreshments will be provided. Admission is free; reservations are required. Please contact us at (404) 688-3353 for reservations. The L. P. Grant Mansion is located at 327 St. Paul Avenue SE, Atlanta 30312. Due to limited parking availability, carpooling, rideshares and alternative transit are encouraged. On-street parking is available on St. Paul Avenue and Grant Street. ADA parking and access can be reached via APC’s Orleans Street drive. In Ritual and Ruin: Tableaux of a Lost War, Knox uses a sample of photography from the Library of Congress and his own images to create surreal collages of 19th-century American battlefields and ruins. The black and white photographic works evoke early photographic methods, such as the Daguerreotype, tintype and the wet-collodion method. On January 26, as a preview to the spring trip April 27-30 to Beersheba Springs, Monteagle and Sewanee, the Atlanta Preservation Center is pleased to offer a presentation by Richard Chenoweth, AIA. Mr. Chenoweth is a nationally recognized architect and artist who has created an architectural documentation of the extraordinary 1855-1860 resort at Beersheba Springs, Tennessee. The complex at Beersheba Springs is based on the classic Virginia Springs of the early 19th century. This remarkable project is an excellent example of research and documentation of historic resources using hand and digital techniques, of a very special place in Tennessee history. Join us at the Grant Mansion on Thursday, January 26 from 6:30 p.m. – 8:00 p.m. to learn more about this unique excursion. Refreshments will be served. Richard Chenoweth has distinguished himself as both an architect and artist. He won an international design competition for the entry canopies of the Washington DC Metro system, of which 30 have been built. He won the Gabriel Prize in 2001 for the study of French architecture, a three-month sabbatical for drawing and studying 18th century buildings. Mr. Chenoweth has also completed fellowship work for the Curator of the Capitol which involved a complete digital recreation of Jefferson and Latrobe’s original US Capitol Building, which was destroyed in the war of 1812. He was also the chief illustrator for Cottage Living Magazine from 2004-2008. You can see some of his research at his website: www.mostbeautifulroom.com. The L. P. Grant Mansion is located at 327 St. Paul Avenue SE, Atlanta 30312. On-street parking is available on St. Paul Avenue and Grant Street. ADA parking and access can be reached via APC’s Orleans Street drive. Reservations are not required. This event is free and open to the public. Join us on Tuesday, February 2, 2016 from 6:30 pm to 8:00 pm for a presentation by Sergei Troubetzkoy on the sites and attractions featured in APC’s upcoming June 2016 donor excursion. Refreshments will be served from 6:30 pm to 7:00 pm; the lecture will immediately follow. Reservations are not required. This event is free and open to the public. A special benefit to APC members at the Building Block level ($125 and above) is eligibility to participate in donor trips to unique historic places. Prior trips have included Stratford Hall and the Northern Neck of Virginia to visit historic sites dating back to the Colonial period. In 2016 guests will be traveling to historic Lynchburg, VA to visit Thomas Jefferson’s “Poplar Forest” home, multiple historic districts and cemeteries, Appomattox Court House, the historic “Point of Honor” and many other exciting sites. Mr. Troubetzkoy is the Director of Tourism for the city of Lynchburg, Virginia. He is a noted author and lecturer on Virginia’s historic attractions, as well as 19th Century American Silver and Cast Iron. He is also one of the founders of the Historic Blandford Cemetery Association in Petersburg, VA and has written extensively on the ironwork in Petersburg. For information on joining the Atlanta Preservation Center or upgrading your existing membership, please visit our website or call us at (404) 688-3353. Join us at the Lemuel Pratt Grant Mansion at 6:30 pm on Monday, November 23, when Tim Keane, the new Commissioner of Planning and Community Development for the City of Atlanta, visits us to speak on the importance of preservation, touching on the historic portraits of City Hall. Mr. Keane spent 11 years running the planning department for the City of Charleston, SC, including preservation, sustainability, urban design, planning and code enforcement. Prior to Charleston, Keane served as the first planning director for the town of Davidson, NC. He has an undergraduate degree in Planning and a graduate degree in Architecture from the University of North Carolina-Charlotte; he was also a Knight Fellow a the University of Miami, School of Architecture. The Lemuel Pratt Grant Mansion is located at 327 St. Paul Avenue SE, Atlanta 30312. On street parking is available on St. Paul Avenue and Grant Street. ADA parking and access can be reached via APC’s Orleans Street drive. The Bell Building, originally built in 1907 and located in historic downtown Atlanta, is at risk of being demolished. The Atlanta Preservation Center has had the historic Bell Building on its Endangered List due to rumors that GSU was planning to demolish the building for parking. The classical three-storied building served as Southern Bell Telephone and Telegraph Company’s switchboard. The building features a brick facade and simple detailing; it is often noted for its large windows on the street level. A 1922 addition housed the matching switching technology that brought with it a true dial tone. 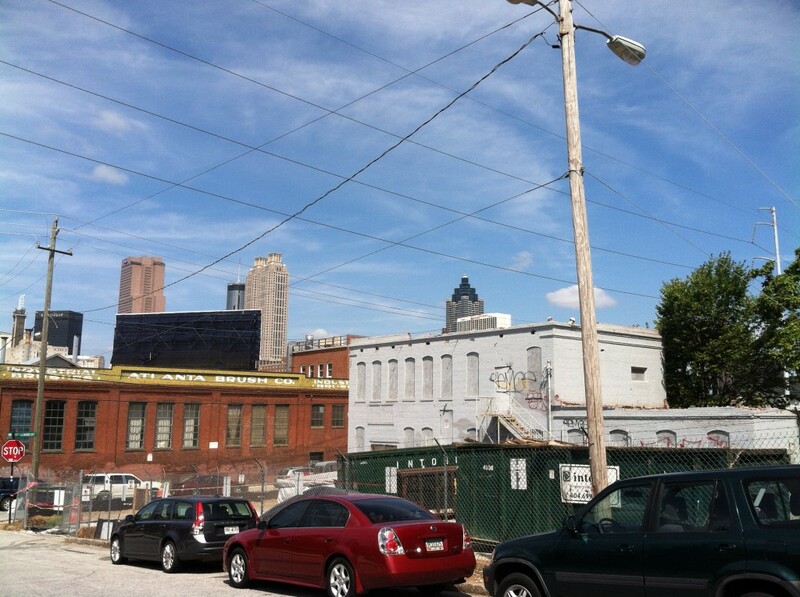 More information on the building and the proposed plans comes from the Creative Loafing article available here. 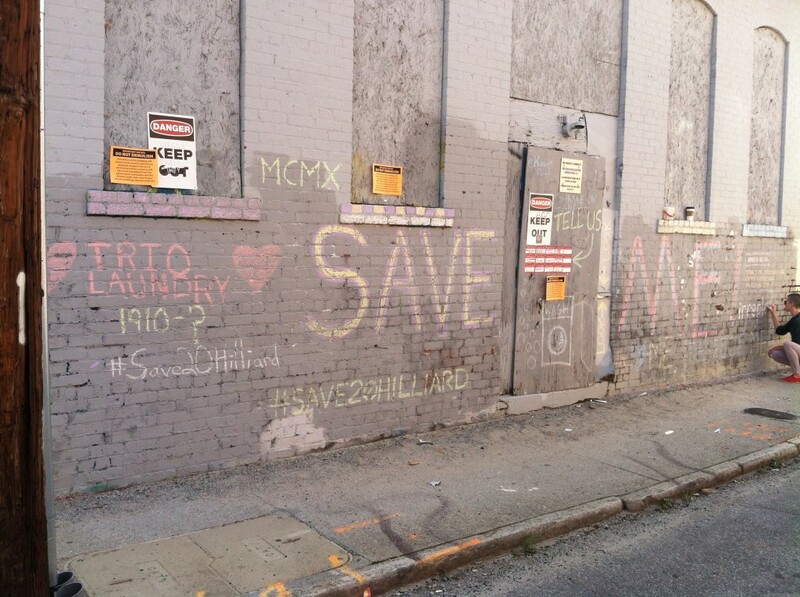 There is now a petition asking that the building be preserved. We would appreciate your support in signing this petition. How does historic preservation intersect with a daring escape from Stalag Luft III, the WWII German prisoner-of-war compound? 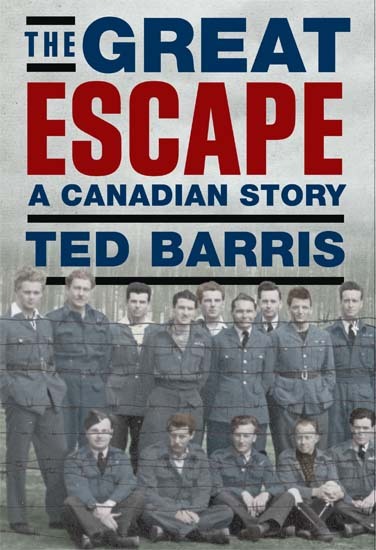 Find out Thursday, August 13 at 6:30 pm when author Ted Barris joins us at the Lemuel Pratt Grant Mansion for a discussion of his new book, The Great Escape: A Canadian Story. Mr. Barris will be in residence at the University of Georgia — Hargrett Rare Books & Manuscripts Library — for several days to research his next book. Mr. Barris will expand on how his research brought him to Georgia, as well as how and why preservation is crucial to the work. Historical research, historical architecture and the myriad of experiences and knowledge saved by preservation will also be highlighted in the discussion. Barris is the author of 17 bestselling non-fiction books, including a series on wartime Canada: Juno: Canadians at D-Day, June 6, 1944 … Days of Victory: Canadians Remember 1939-1945 … Behind the Glory: Canada’s Role in the Allied Air War … Deadlock in Korea: Canadians at War, 1950-1953 … Victory at Vimy: Canada Comes of Age, April 9-12, 1917 … Breaking the Silence: Veterans’ Untold Stories from the Great War to Afghanistan … Last year, The Great Escape: A Canadian Story became another of his military history National Bestsellers. Join us on Thursday, August 13 at 6:30 pm for this fascinating tale. The Grant Mansion is located at 327 St. Paul Avenue SE, Atlanta 30312. On street parking is available on St. Paul Avenue and Grant Street. This lecture will discuss the use of social media and highly visible protest tactics in the use of saving a historic building. To be discussed: how you transform social media into an active community platform for results, turning likes into action. Dr. Gordon L. Jones, Military Historian and Curator, will present the fascinating story of this national treasure and answer all your questions about how the 18,000 square-foot artifact will be moved to the Atlanta History Center and restored to its original splendor. 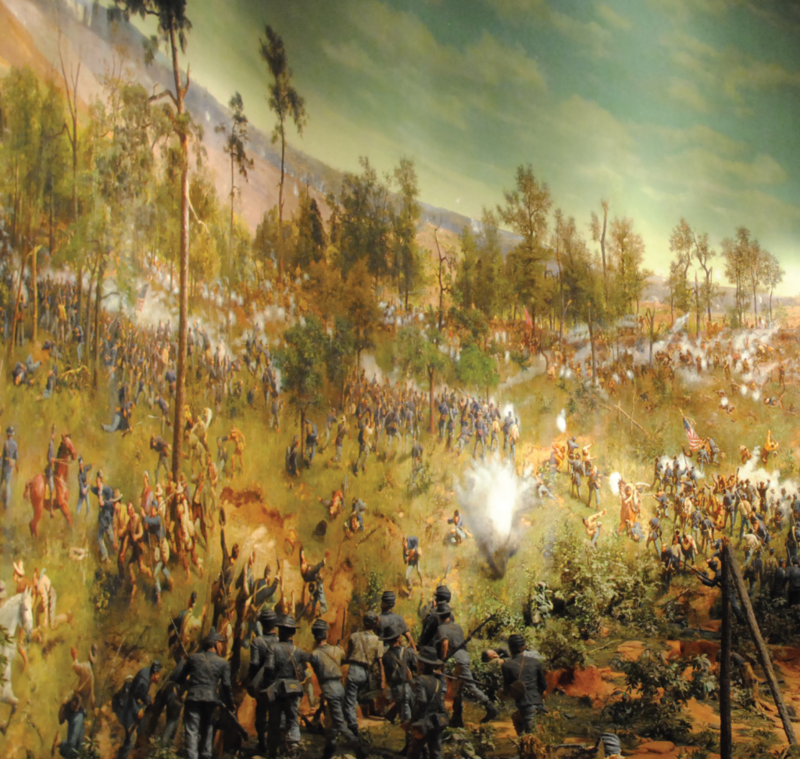 There were two “Battle of Atlanta” cycloramas painted in Milwaukee in 1886. Today it is not the largest oil painting in the world, but it is the one of the most intact. 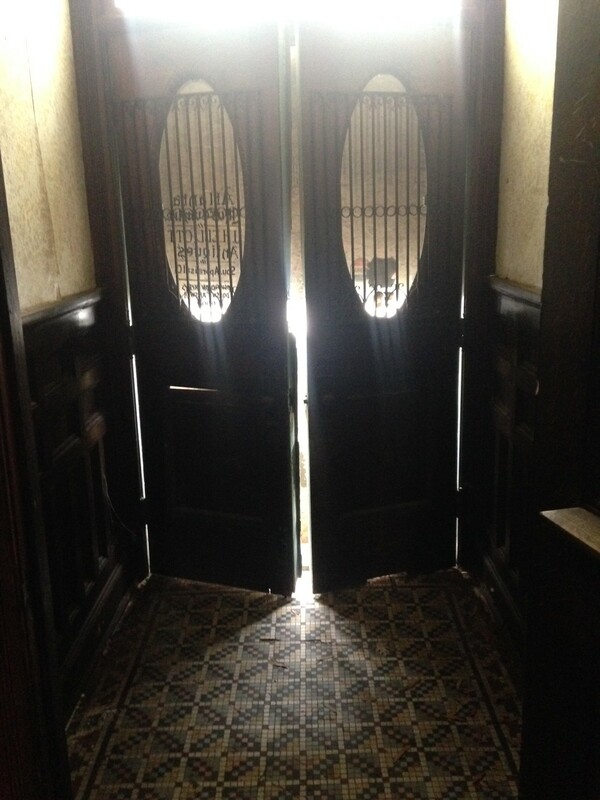 The structure is in tremendous shape and we believe Rufus Rose has a real chance to not only survive, but flourish with its potential adaptive reuse. APC and M.H. Mitchell’s 2013 A Rose on Peachtree exhibition. The Rufus Rose Mansion was added to the APC’s Endangered List in 2007. What’s the best argument in favor of historic preservation? How do you win over developers, government officials, and property owners? Come join this discussion as Clint Tankersley and Professor Ryan Rowberry contend that economics should be a preservation advocate’s lead argument. They will discuss their motivations for establishing Presonomics (a new nonprofit focused solely on promoting the economic benefits of saving historic places) and the work they are doing to streamline preservation advocacy.